This 3 week itinerary is one of our favourites. You'll cover all the top spots, as well as some lesser-trodden gems, and spend a little longer in each destination. A mix of camping and comfort, with plenty of flexibility to suit your preferences. If you have a few weeks to play with, you can't go wrong with this Brilliant itinerary. Church of Saint George, Lalibela. Explore Addis Ababa and Debre Markos. Explore Bahir Dar and the Blue Nile Falls. Tour the ancient city of Gondar and discover its castles and churches. Spend a couple of few days in the stunning Simien Mountains National Park. Discover Axum, with its Stelae fields and churches. Visit the famous rock-hewn churches of Lalibela. 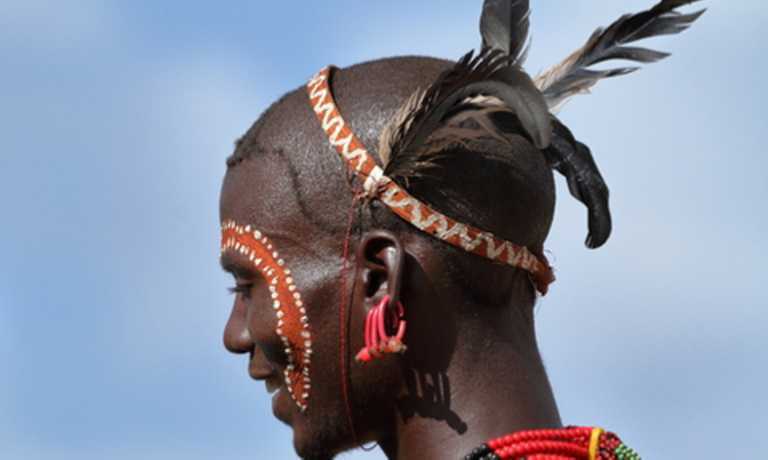 Spend time with the local people at a number of local villages. Upon arrival at Bole International Airport, your driver will pick you up from there and take you to your hotel. If you have a special request up on arrival, feel free to speak to your driver or to your contact person you will be assigned up on booking your trip.. If you arrive in Addis early in the morning and want to explore the city after taking a deserved rest, you will have a guide at your disposal. 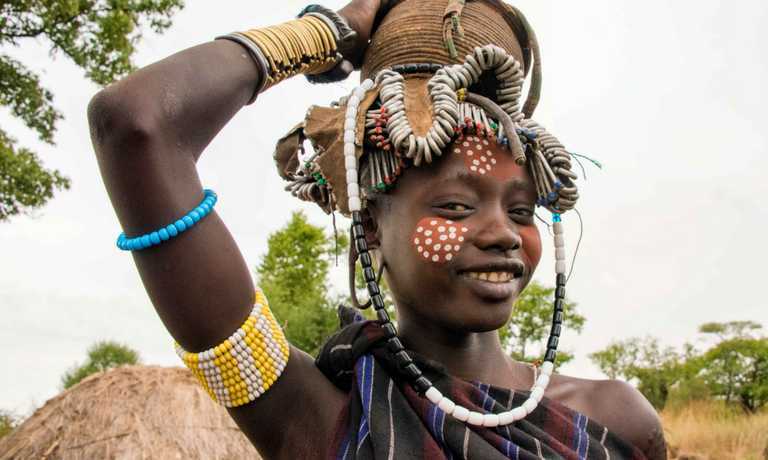 The options include visiting ‘Merkato’ the biggest open market in Africa, picking from a list of museums, the main one being the National Museum which is a home for ample antiquates, historical relics, archaeological findings including the 3.5 million year old skeleton of Lucy. The ethnographic Museum of Addis Ababa University which exhibits the culture, dressing, traditional instruments and many more items of cultural importance is also an interesting place to visit. In the evening, there will be a welcome dinner in a cultural restaurant where you will be served Ethiopian cuisine, traditional drink and see different cultural music/ dance. After a morning coffee and breakfast, your driver will pick you up from Monarch hotel to start the Northern Ethiopia adventure. Day two of the trip will take us to Debre Markos, a city we will stop over for the night. On our way to Debre Markos, we will stop by Debre Libanos monastery- which was founded in the 13th century by Saint Tekle Haimanot. In the close vicinity is also a historic Portuguese Bridge, which is the first bridge in Ethiopia. 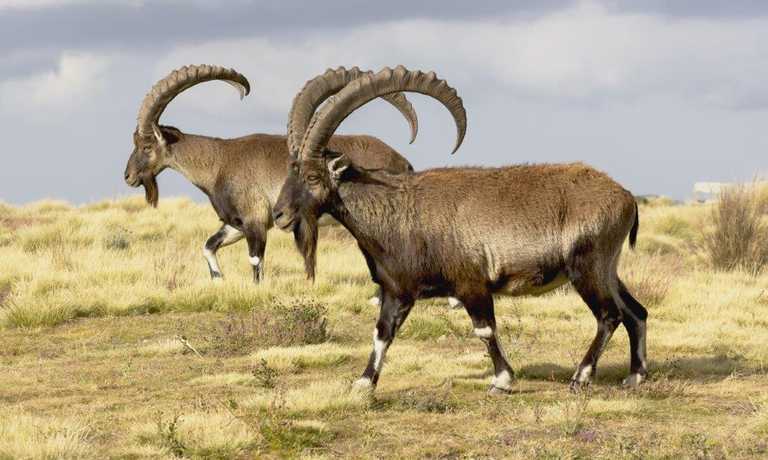 The area is also very rich in wild life including the endemic Gelada Baboon, and many bird species including endemic ones . Continuing further with our adventure, we will come across the breath taking view of Blue Nile Gorge. Situated at 210 km North of Addis Ababa, the gorge is formed by the Blue Nile river, the longest river in world. This gorge has a depth reaching 1,500 metres (4,900 ft) and is often compared with the American Grand Canyon. Third day of our trip will take us to the city famous to its lake and fish - Bahir Dar. 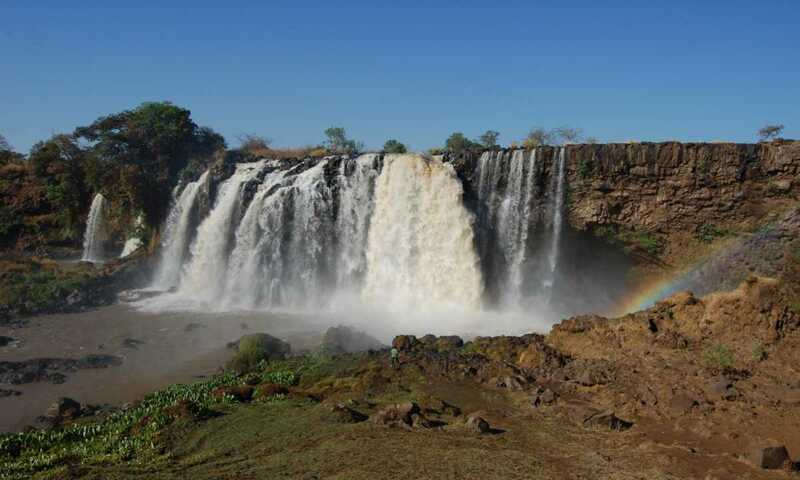 After having lunch in the city, we will depart for a day excursion to see the famous Blue Nile Falls with a journey that include a car ride, bit of walking and a boat trip. Blue Nile Fall, which is a pride for many Ethiopians, have a height reaching 150 feet and a width estimated to be of half a mile. The view is truly incredible especially if you are visiting after the end of the rainy season. We will also walk through the footpath built in the 16th century by Portuguese explorers. In the evening, you might wish to visit one of the local ´Azmari` houses- Houses organizing traditional songs and dances specific to the region. In the morning, we will have breakfast and embark on a boat trip on Lake Tana to explore some of the monasteries hidden on its shores and islands. The lake also have interesting fauna and big animals like Hippo and various bird species can be easily seen. The lake have 37 islands and twenty of them are a home for churches and monasteries mainly founded in the 14th century. This trip will take us to Ura Kidane Mihret and Narga Selassie or Ura Kidane Mihret which are decorated with beautiful paintings and house numerous religious books and treasures. As they the monasteries are not easily accessible, they were used to store art treasures and religious relics from all over the country. You will then continue the boat trip to Gorgora. If you prefer to go by car from Bahir Dar to Gorgora, that can also be arranged and the trip takes 4 hours. Day at leisure at the lodge: visit local village, hiking and canoeing. Day six of your trip and we will head to Gondar from Gorgora and the journey takes an hour by car. Gondar is a beautiful city and served as a capital of Ethiopia until 1855. You will also see the royal castle, which has been listed as UNESCO cultural world heritage and the bath of Emperor Fasiledes who was emperor of Ethiopia from 1632-1667. The bath have huge religious significance to date for thousands of Orthodox Christian followers during the yearly Timket festival . In the afternoon, we will also visit the famous Church of Debre Birhan Selassie which was built by Emperor Eyasu II in the 17th Century. This is a popular tourist destination thanks to its interior wall painting which depict biblical scenes and saints. The ceiling is also decorated with faces of hundreds of angels. After driving for three hours from Gonder, we will arrive at Sankaber. From here will be a start of a hike to Gich which takes 5-6 hours and all our belongings will be carried by a mule. We navigate along the escarpment before dropping down to get impressive views of the beautiful Jinbar Waterfall. From here we will head to our camp which will be at 3600m above sea level passing through terraced farmland. In the late afternoon, we will walk to mount Kedadit to have unforgettable scene of the sunset across the mountains. Day eight of our trip is dedicated for 7-8 hours of hike and this will undoubtedly be the most spectacular part of the trekking. After having breakfast at Geech Camp, we will start our hike by descending from our camp for about two hours through Afroalpine Meadow. The trek begins by ascending gradually for about 2 hours through the Afroalpine meadows and further down an impressive views of gorge imetgogo. The hike also cover various picks along the route and the most notable are Inateye (4,070m) and Imet Gogo (3925 m). This part of the trip is also have a great potential for bird watchers the common ones being tawny eagle, lammergeyer and augur buzzard. The final 2-3 hour descent will lead us to Chennek Camp where we will spend overnight. Chennek is rich with giant lobelia and also a good spot to have first sighting of the endemic walia ibex. We will wake up early in the morning to have a good look at the morning sunrise and surrounding cliff. After our breakfast in the camp, trekking of day nine will take us the summit of the Simien mountain’s second highest peak, Bwahit (4,430m) that lies to the south east of Chenek camp. From here, you can have a great view of Berochwuha, Silki and the Lori village below. This route is one of the most popular route and it also leads to the summit of Ras Dejen, the highest spot in Ethiopia. We will leave the city of Debark to the ancient city of Axum. This is a long journey which will usually take around seven hours drive. However, looking Tekeze Gorge and the chain of never ending mountains across the road, you will be in Axum in no time. Axum is the former capital of the Kingdom of Aksum which approximately existed from 100 AD- 940 AD. The city is located in the Tigray region of northern Ethiopia and in 50 kilometres proximity to the Eritrea border. Today we will have a full day tour of the Stele Park, the ancient tombs of Axumite king Bazen, the bath and palace of Queen Sheba. Axum’s Mary of Zion church is a holly place where Ark of the Covenant is believed to have been kept after it was brought from Israel by Menelik I, the son of King Solomon of Jerusalem and Queen Sheba of Ethiopia. Unfortunately, we will not be allowed to enter to the chapel where the Ark is kept and only a single specially chosen guardian monk has an access. After having breakfast and Ethiopian coffee in Axum, we will hit the road for four hour drive leading to Hawzen. We will also visit the oldest monastery of Debre-Damo, where men climb up a 15-m rope to enter the uphill situated monastery. From Hawzien, we drive an hour to Idaga Hamus, the start of 4-5 hour hike to Gohgot. These mountainous areas have a great view. As you stood on the cliff tops gazing at the breath taking views across the Agame massif and villages below, you will be stunned with the landscape. We will also visit the nearbychurch of Gohgot Eyesus. Situated at 3000m above sea level, Enaf has the best views across the Agame massif and its valleys. The hike for the day will take around 6 – 7 hours and we will pass lovely churches. One of these churches is Debre Giyorgis church, which was built using ancient technique. Hike (4 hrs) Enaf to Adigrat. Drive (2 hrs) Adigrat to Mekele. We will proceed further with the hike for four hours and this part of the trip involve steep sections. Agame massive is still visible thought the journey. Drive (9 hrs) Mekele to Lalibela via Sekota or Woldya. After breakfast at Harbe Hotel, we will start our 470km journey to visit the famous and one of UNESCO´s world heritage site, Lalibela. We will drive through the Ambalage Chain of Mountains. Lalibela is most famous for its rock hewn churches which was built around e 12-13th century is listed as one of the Eighth wonder of the world. With a magnificent architecture & paintings inside the churches, Lalibela still serve as the major place of worship among Orthodox Christian followers. Hike (from 1.5 up to 5 hrs depending on starting point) to Hudad Lodge, en route visit Asheton Maryam church. We will leave Harbe Hotel after breakfast for a start of our hike to Hudad lodge via Asheten Maryam, a monastery carved out of the clifs of Asheten. The monastery is between the historic Ethiopian town Lalibela and the Hudad Eco-Lodge where we will be staying overnight. Built in the 11th century, King Lalibela’s original plan was to build the rock hewn churches in Asheten Maryam. The setting of the monastery is particularly riveting with 360 degree views of the valley and town below, 4 hours walking. Over night at Hudad lodge. This track also offers the great opportunity to have an authentic insight in the surrounding farmers’ life. We can follow two routes to accomplish today´s hike. One option is to hike from the start to Huda Lodge which will take between 4 and 5 hours. There is also a possibility to hike for 2.5 hours and use the car for the remaining part of the journey. Whichever option you take, the day will offer you a first hand insight of farmer´s life living nearby the hiking area. An overnight stay at Hudad Lodge on a beautiful mountain plateau will be somewhere you would like to spend the night. Hike (4-7 hrs, depending on which village) Hudad to local village. Hike (4-7 hrs) local village to Yimrehane Kristos church, transfer (1,5 hrs) back to Lalibela. Early morning we will hike on the way leading to Yimrehane Kristos church. This is a beautiful decorated church is built in the 11th century and was included on the 2014 World Monuments Watch to raise awareness of this extraordinary site and its importance. Flight Lalibela to Addis Ababa. Minibus available for transport around Addis Ababa. Evening transfer to Bole International Airport for international flight home. This trip can run as a group trip, with prices starting from $2,952 per person for a complete group. If you are looking to join a group or you are a solo traveller we will help to form likeminded groups of travellers. Please let us know your travel plans. The current total fare for the domestic flight(s) in the itinerary is USD $70 per person when Ethiopian Airlines is used for international flight. Otherwise the fare for the domestic flight(s) in the itinerary is $205 per person. Fares subject to change by airline. Airport transfers and road transport around Addis Ababa and Lalibela by private minibus. Road transport from day 2 until day 16 by standard 4WD with English speaking driver/ guide, including fuel, driver allowances and accommodation. Meal plan bed and breakfast. Full board (including mineral water) during camping and trekking.